When you think of stout-style beers, you rarely think of milk. Milk and beer? What the Hell, right? Sounds like a trip to worship the Porcelain God waiting to happen, if you know what I mean. 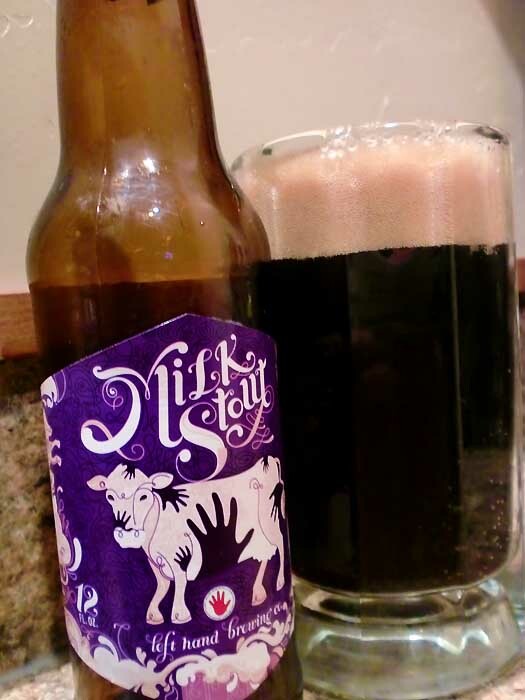 Well, believe it or not, there's a type of beer called a "Milk Stout" (a subtype of sweet stout). Sweet stouts are beers that have unfermented sugars added to give the beer a different taste and body, and in this case, it's lactose. 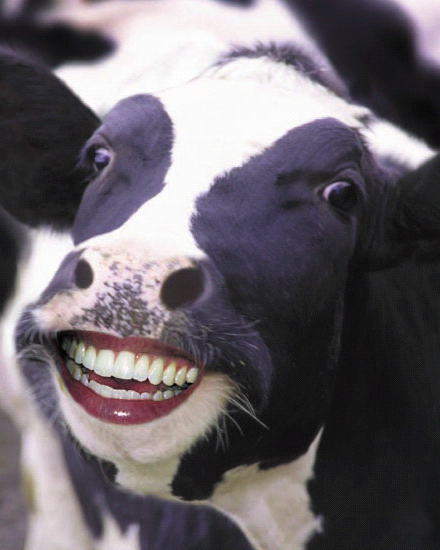 Lactose, you know, the sugar that's in milk? The one that most of the world's population (excluding many people of European decent) have a hard time digesting, causing stomach discomfort and gas. Sounds like a party to me! Hopefully those that are lactose-intolerant will see the word "Milk" on the label and avoid it. But who is really going to think that beer has milk sugar in it? Anyway, Left Hand Brewing out of Colorado (who also make Wake Up Dead Imperial Stout, which has one of the coolest labels ever) make a Milk Stout. It pours a deep, dark brown that verges on being coal black. As you pour, there's a bit of that cool cascading of bubbles made famous by a well-known and admittedly boring Irish stout. It has aromas of mild dark roasted barley, milk chocolate, and a touch of coffee. You take a sip and get ...disappointed. Okay, well that's not all you get, it smells good enough, but the taste is a let-down. Sweet, roasty malts, and a bit of dark chocolate. That's it. It's very one-dimensional and has a short finish. The mouthfeel was oddly thin, too. I guess I was expecting a thicker, creamier texture from a milk stout. But hey, not every beer can be super awesome. This is a decent beer, yes, but nothing great. So sad. 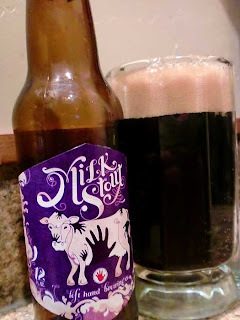 Drink This: if you want to try a mild, milk stout. Like I said, it's decent, but actually fairly tame and boring. Don't Drink This: if you're lactose-intolerant because you will not be a happy camper afterward.